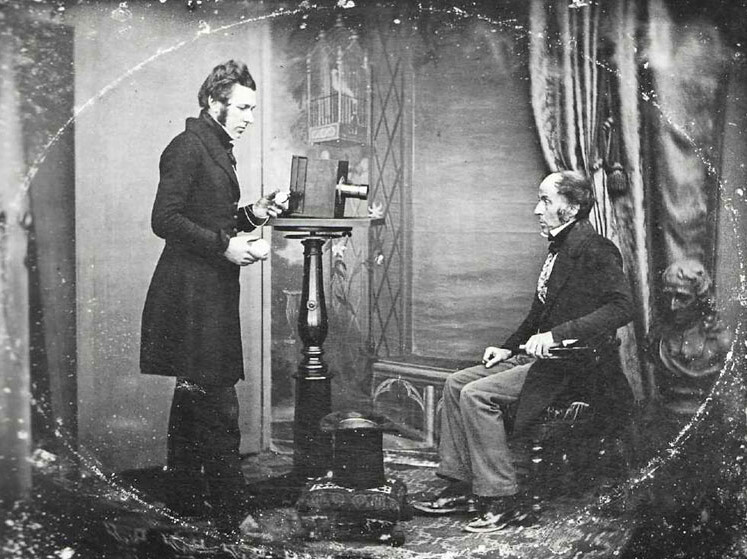 Jabez Hogg making a portrait in Richard Beard's Studio, 1843 (Daguerreotype, Collection Bokelberg, Hamburg). This is one of the earliest representation of the interior of a portrait studio showing a photographer at work. Notice the stiffly upright sitter clamped into a head-brace, which universally was used to insure steadiness. He clutches the arm of the chair with one hand and makes a fist with the other so that his fingers will not flutter.